You can book a grounds on Insider.in to play a variety of sports: Football, cricket, badminton, futsal & swimming. Get your gang together, pick a ground & date, pay online and you're set! 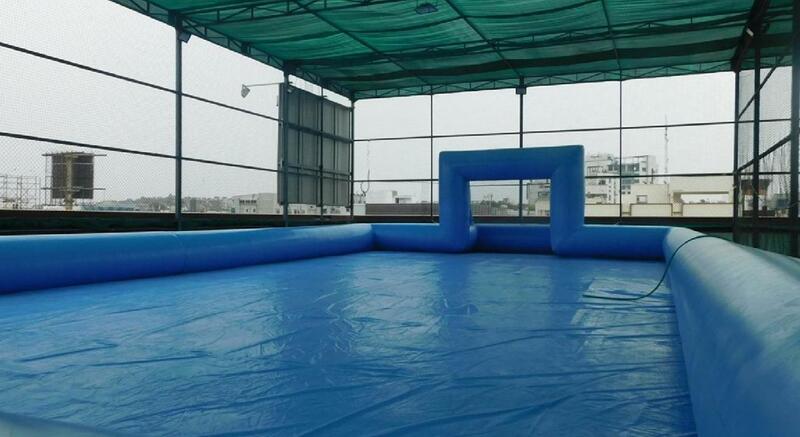 Exciting football experience in soap turf - gear up for this unique experience! Change Room and Shower facilities are available at the venue, kindly bring spare clothes for change.